Environmental health policy is far from my area of expertise but I know a lot more now and this wide-ranging and comprehensive book has convinced me of the vital role it plays – or can play when fully resourced and effectively implemented – in securing decent housing for all. In fact, environmental health practitioners might just be the unsung heroes of the housing sector. Housing is a key social and economic determinant of health, perhaps the most important for the multiple roles it can play both in security and as part of anti-poverty strategies. somewhere to feel safe, secure, do mundane day-to-day things; have access to school, health and healthcare services; as well as social services; somewhere to develop socially, change, and have a level of wellbeing and quality of life across the life course. It reminds me of the words of the late Doreen Massey, the geographer and social scientist, at a housing conference some years ago: her upbringing on the Wythenshawe Estate in Manchester didn’t create dependency, she argued, it provided security – the foundation we all need to live healthy and fulfilled lives. I know Jill Stewart as a passionate and knowledgeable advocate of decent housing for all – the same, I’m sure, is true of Zena Lynch too who I don’t know personally – and I’m pleased to say she has been a contributor to this blog. Her first post charted the rise of the environmental health profession from the humble Inspector of Nuisances to the latter-day Sanitary Inspectors before the First World War. A second, fittingly in this centenary year, focused on interwar sanitary reform in the wake of Christopher Addison’s 1919 Housing Act. That breadth of background is found throughout this book but is highlighted in interesting and well-illustrated sections providing a brief history of housing (with a strong focus on social housing) and guidance on how to assess the age of dwellings. Jill’s photographs provide an excellent context to each and the book as a whole is unusually well-illustrated for an academic work. All this provides background to the far more extended and increasingly pressurised role of environmental health professionals today outlined so clearly and fully in the book. An opening chapter ‘Why environmental health?’ covering the range of environmental health interventions is followed by one more specifically for practitioners in the field on ‘Gathering Evidence’. Chapter 4, ‘Legislation for Healthier and Safer Housing’ is an important guide to current law. This, despite (or perhaps because of) contemporary housing problems, has been usefully strengthened in recent years. (A quick shout-out here to Karen Buck MP whose Homes (Fitness for Human Habitation) Act, extending that basic requirement to all private landlords, was passed in December 2018.) Chapter 5 ‘Working More Effectively Together’ focuses on implementation and strategy. One powerful feature of the book is its range of case studies – drawn from both academic sources and practitioners in the field, sometimes a combination of the two – charting not only the variety of problems dealt with but positive strategies to tackle them. These range from hoarding to public funerals, from ‘beds in sheds’ to the particular issues affecting gypsies and travellers and those living on houseboats. The main problem is, of course, lack of affordable housing. Home ownership has fallen and private renting has risen, and the ending of a private rented tenancy is now the biggest cause of homelessness. Government figures suggest that almost one in three cases of statutory homelessness result from the termination of a private tenancy, a symptom of the tenure’s insecurity since the 1988 Housing Act introduced assured shorthold tenancies (usually of a six to twelve months’ fixed term) and ‘no fault’ evictions. The 2002 Homelessness Act ‘requires local authorities to have a strategy to reduce homelessness and put better services in place for homeless people’. With little social housing stock available (some 1.15 million households are on waiting lists) and stretched resources, this, with the best will in the world, has become increasingly difficult for councils. This brings us to the Private Rental Sector (PRS) which naturally occupies a large part of the work of environmental health professionals and this book. The authors provide the context for this: there are 945,000 more households with children living in the PRS now than in 2005. Private tenants pay an average 35 percent of their income on rents, compared to 18 percent for mortgagors and 29 percent for social renters. What they get for this (apart from insecurity of tenure) is in many cases some of the oldest housing stock in the country – 34 percent of the PRS dates from before the First World War. It’s estimated therefore that 28 percent of privately rented homes fail to meet Decent Homes Standards (compared to 13 percent in the social rented sector and 18 percent of privately-owned homes.) The welter of statistics confirms that far too often the PRS does not provide secure, decent and affordable accommodation. In the new paperback edition, the book is reasonably priced but it will remain primarily a book for the specialist – an essential book for environmental health students and professionals (a virtual one-stop shop for so much of the broad field they must understand and practise) and a useful one for many others in the housing sector including local councillors. I recommend it to anyone interested in housing law and policy and the many social issues raised by our highly dysfunctional housing market. And, if you don’t buy your own copy, I hope you’ll find it on the shelves of your local library. For further publication and purchase details, please visit the Routledge website. Last week’s post provided the background to the clearance of Newlyn’s slums and described the modest council estate built to replace them. Far more dramatic events ensued as the broader scope of Penzance Borough Council’s intentions became clearer. The five-day public inquiry into its plans in July 1937 was the locus of a housing protest which briefly gripped the nation. There were, to begin with, perhaps justified complaints that the Council had been less than open about its plans. The clearance orders had been passed by the Council without it having seen the wider proposals of Borough Surveyor Frank Latham. Latham’s wish to widen the harbourside road through the village (and the demolition of homes not deemed unfit this required) drew further criticism and the sardonic observation that the regular traffic to Mousehole comprised merely a local bus. The most vocal complaint centred on the issue of compensation. Owners of homes officially designated as unfit for human habitation and subject to demolition (marked pink on council plans) received only their site value. Homes marked grey on the plans (to be cleared to allow rational reconstruction), on the other hand, were not classified as slums and their owners were to be compensated by their full market value. This difficult demarcation proved controversial in both respects. The meat of the ensuing struggle was contained in the legalistic wranglings which resulted but its emotional heart lay elsewhere. That was provided in the beguiling image of simple Cornish fisherfolk battling bureaucratic and unfeeling modernity. Newlyn was its ideal site. 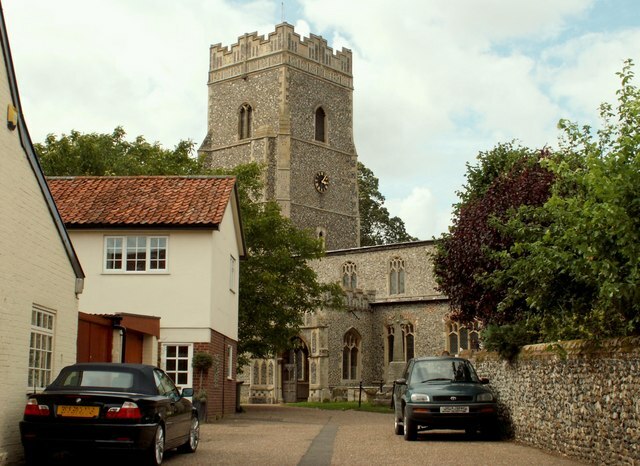 the idea of demolishing any part of our priceless village as a piece of sheer vandalism and folly. To me and thousands of holidaymakers the prospect of new and ugly buildings will be ghastly. Then, in the words of Pennsylvania’s Reading Eagle, ‘the grizzled fishermen…cap in hand’ met Wood and told the Minister ‘how much they loved their picturesque cottage homes, how unhappy they would be in the new houses “over the hill”.’ (5) Wood, clearly an early master of PR, provided the deputation with a Cornish cream tea and a thoroughly sympathetic hearing. His verdict would come two weeks later but, for the time being, the Cornishmen were impressed by his apparent honesty and understanding. For all the resonance and power of this campaign, opinions in the village were divided. We saw Reverend George Richards’ opinion of the new council homes on the Gwavas Estate last week – he had described them as ‘among the monstrosities being condemned by architectural experts’. A Daily Mirror article contrasted pictures of the old village and the new estate under the headline ‘What Would You Rather See?’. eighty percent of the working people of Newlyn welcome the building of the new houses and are longing for the day when they will have a chance to live in them. We say that Newlyn is no longer a fishing village – granted a few elderly men and a few out-of-date boats…they will soon disappear. The sons of these men are not going fishing. No sir, they are finding employment in Penzance and elsewhere. We say that far too much has been made of a small grievance which the few fishermen might have, for after all they represent a very small minority in Newlyn. That petition was signed by some 400 people; a rival petition protesting ‘the wholesale destruction of our village [and the] ruthless appropriation of private property’ attracted 1093 local signatures. You can make your own judgement on the balance of forces in play. To be fair to the Newlyn Housing Committee, they were clear that defence of the old homes did not require opposition to the new and it avoided criticism of the new estate. Still, in what was a compelling narrative, it became natural to juxtapose the two. The Newlyn Housing Committee also commissioned Professor Stanley Adshead (a leading architect and planner and the designer of significant council housing developments in Norwich, Stepney and Brighton amongst others) to review the clearance scheme. 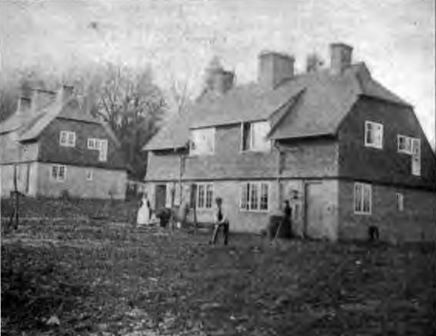 He took an advanced position in opposing its road widening element (‘Is it not conceivable that reduction in the size of the cart is better than improvement in the strength of the horse?’) and concluded firmly that the Housing Acts should be amended ‘to make special provision for dealing with cottages and villages possessing historic interest and peculiar charm’. In the present, however, all hinged on Sir Kingsley Wood. to rehouse the fishermen and the older people near the harbour and to cooperate with all those who would help them secure a redevelopment which will meet the legitimate interests of those affected and also preserve the amenities of the village. It was a masterly political response. Woods had saved only 23 of the homes slated for demolition; he had transferred 54 from ‘pink’ to ‘grey’ thereby ensuring more generous compensation, and he offered more cash to those whose homes were still condemned as ‘unfit’. Disillusion soon set in among the campaigners but the battle was essentially over and it was, in the end, a qualified victory for their cause. A guerrilla war, fought over legal issues of designation and compensation, delayed clearance. The Council, wary of the storm it had created, was, in any case, in no hurry to proceed. Only 58 demolitions had taken place by 1940, some more in 1943, and larger clearances in 1951 and 1955. By 1974, 130 of the homes originally condemned still stood and many were now part of a conservation district. Times had changed. For one, those younger residents were wrong about Newlyn’s fishing industry – in 2016 it was the largest fishing port in England in terms of quantity of landings. It remains a busy, bustling harbour and, not far away, lie the narrow lanes and traditional cottages beloved of tourist Cornwall – now with all mod cons and, presumably, a great many of them occupied as second homes or holiday lets. As a visitor myself, it seems impossible to lament their survival and the failure of the rational modernism once threatened. But their current situation highlights housing realities, both interwar and contemporary. There are rightly a number of monuments in Newlyn to the Rosebud and the struggle it represented. Ironically, one of these, Rosebud Court, is social housing; a block of four flats completed for the Penwith Housing Association in 2000. And, above the old village, the Gwavas Estate continues to offer the decent and affordable housing that – with over 900 on local waiting lists – private enterprise seems incapable of providing. The Newlyn clearance saga, often romanticised as the struggle of the ‘little man’ against faceless modernity, offers complex lessons. (3) Quoted in Michael Sagar-Fenton, The Rosebud and the Newlyn Clearances (Truran, 2003). Other detail is drawn from the same source which offers the most comprehensive coverage of the extended saga. (3) Punch, 27 October 1937. Quoted in Michael Sagar-Fenton. The 1930s’ Gwavas council estate on the hill above the fishing village of Newlyn in Cornwall doesn’t look anything out of the ordinary but it was to play its part – alongside the controversial slum clearances which accompanied it – in one of the most resonant housing protests of the interwar period. Matters came to a head when a Newlyn lugger, the Rosebud, and its local crew sailed up the Thames to Westminster in October 1937 to demand an end to the demolition of their traditional village homes. This was romantically portrayed as a protest of the ‘little man’, epitomised in the press images of Cornish fisherfolk, against modernising bureaucrats. As ever in reality, matters were a little more complex. Newlyn’s role as a fishing port dates at least to the 1400s but it’s been a chequered history. If you watch Poldark, you’ll know the significance of the pilchard catch but it waxed and waned. 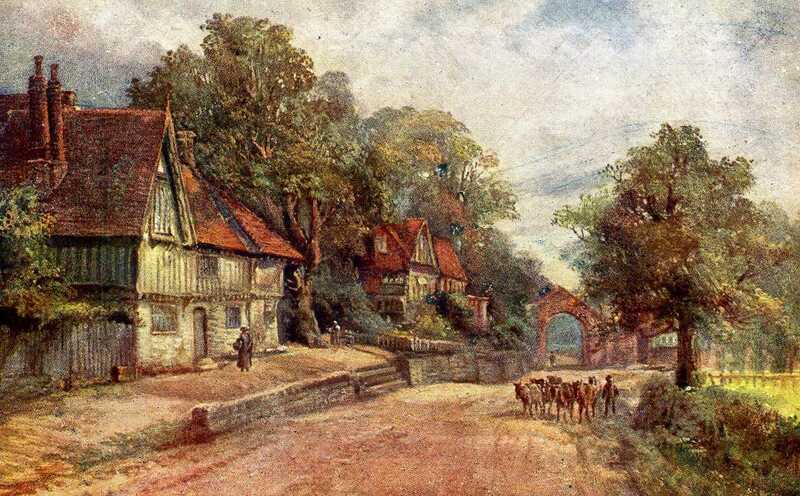 The port was boosted by the completion of the Tamar Bridge in 1859 (and a direct rail connection to the capital) but the village was a quaint, rather backward backwater when first ‘discovered’ by the artists Walter Langley and Stanhope Forbes in the early 1880s. By 1887, there were 27 artists living in the village. Its place as an artistic centre of the en plein air movement (a form which stressed working directly in nature and subject matter drawn from rural life) was cemented by Forbes’ foundation of the Newlyn School of Art in 1899. The Newlyn of today and that of the first artist settlers twenty-five years ago are two quite different places. 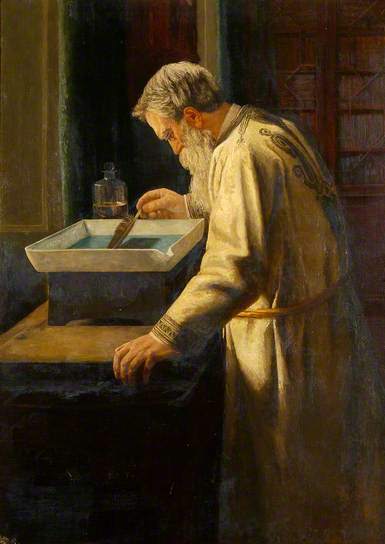 When Mr Stanhope Forbes painted his fish sale there was no harbour; today there is a spacious one, which large as it is, [is] crowded with fishing boats, steamers, sailing vessels and craft of all descriptions. All this has brought a life and animation that no one would have dreamt of a quarter of a century ago. Penzance’s Medical Officer of Health, Richard Lawry, made his first foray into Newlyn in 1935. The first clearance order followed with little controversy. The former Navy Inn now comprised flats accommodating some 29 people. It and neighbouring properties in Factory Row and Factory Square were decanted by 1937 and cleared by 1939. Navy Inn Court, comprising 32 one- and two-bed flats) and Bowjey Court were built on the cleared sites. 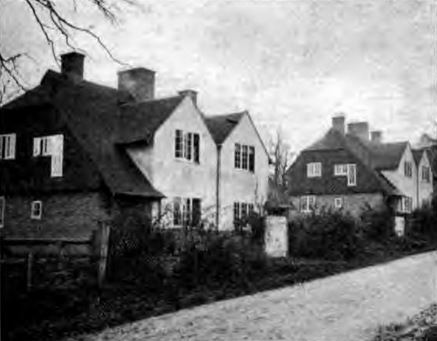 In his official report to the Council in the following year, Lawry stated he had visited 100 houses in the village, nearly all of which he judged unfit for human habitation. This time sensing possible controversy, he requested back-up on a follow-up visit and was duly accompanied by an alderman and two councillors. The first tranche of compulsory purchase orders under the 1936 Housing Act for the properties deemed slums duly followed – for Lower Green Street, Fore Street, Vaccination Court (the name itself is a reminder of cholera epidemics which hit Newlyn in 1832 – when over 100 people died – and 1873), St Peters Hill in 1936, and Fore Street, Gwavas Road, Boase St and North Corner in 1937. In total, some 350 properties were earmarked for demolition in the original orders. Not all were slums. Those marked in pink were and their owners were offered site value only in compensation; neighbouring properties (marked grey) whose clearance was administratively necessary were offered market price. Around 6.75 acres of the old village were affected including areas to be cleared for a proposed road widening scheme at the harbour’s edge. A five-day official inquiry into the proposals began in Penzance in July 1937. Meanwhile, the Borough was moving ahead with the construction of an estate of ‘workmen’s dwellings’ to replace those homes scheduled for clearance. Twenty acres of land had been acquired on a greenfield site above the village, enough the Borough Surveyor, Frank Latham, estimated to accommodate some 250 homes at 12 per acre. In the event, 242 were built on the new Gwavas Estate by local contractors at a cost of £95,380. 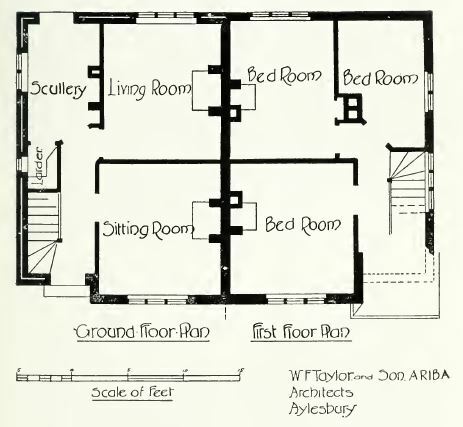 The homes themselves – block-built and characteristically rendered in local style – were solid and laid out, along curving roads and crescents, in a miniature version of the garden suburb style favoured in its time. Some disliked their appearance. The Reverend George Richards had condemned them as ‘among the monstrosities being condemned by architectural experts’ at the earlier public inquiry. But they came with toilets, bathrooms, hot water – the basic facilities so conspicuously lacking in the cottages of old Newlyn. The first residents (from Navy Inn Court and Factory Row) moved in just before Christmas, 1937, and the estate was substantially complete by May 1938. For many of the new residents this was a huge and welcome improvement in their standard of living. Still, there were some complaints. The climb up to the estate was, naturally, one of these, alongside the high bus fares paid by those who required transport. 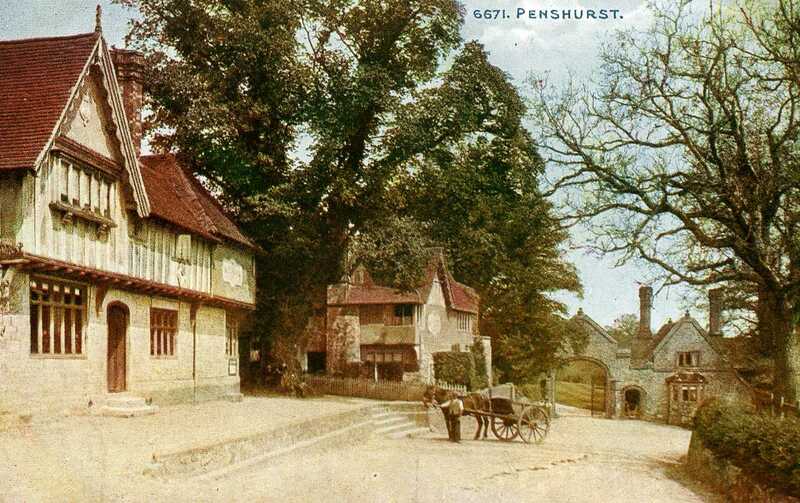 Typically, the rents were significantly higher, sometimes double, than those charged in the old cottages – over 8 shillings (40 pence) in some of the larger houses. Tenancy regulations which banned trades or business in the new council homes were also a problem to some who had supplemented their income with needlework, net-mending, laundry work and so on. This, of course, is only half the story. Dramatic events were unfolding down in the village as the clearance process moved on and the estate itself was drawn into that controversy. We’ll examine all this in next week’s post. (3) Michael Sagar-Fenton, The Rosebud and the Newlyn Clearances (Truran, 2003). Much following detail is drawn from the same source which offers the most comprehensive coverage of the extended saga.